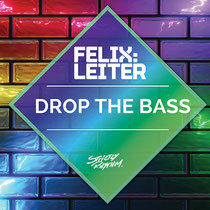 With a string of releases on Spinnin, CR2 and Black Hole (and a few notable mash-ups) under his belt, Felix Leiter joins the Strictly Rhythm roster for his debut release ‘Drop The Bass’. As well as being a talented producer, Felix is resident at Digital in Newcastle, one of the UK's biggest nights, where regular guests include DJs such as Benny Bennassi, Eric Prydz, Thomas Gold and Alesso. Check out the new video for ‘Drop The Bass’ below as Felix turns the track into a low frequency electro onslaught that may well be an essential item in many peak-time DJs set. The video showcases a hilarious storyline where Felix loses his residency spot to his younger brother who passes up the bottle service for fruit juice. Just watch it, it’s exclusive to Beatport just now with a worldwide release on May 27. Nice post. I was checking continuously this weblog and I am impressed! Very useful information specially the final section :) I handle such information much. I was looking for this particular information for a long time. Thanks and best of luck.